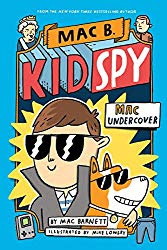 I am happy to say Mary Beth Dawson is the winner of Mac Undercover - Mac B. Kid Spy. (You will find all the details at this link.) Thank you for reading grandma's cookie jar (please message me at lyndagcj@gmail.com by November 30, 2018, so I am able to send it to you) and thank you Orchard Books/Scholastic for sending one for me to review and for making another available for me to give away. 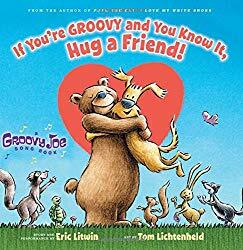 Tomorrow on November 24, 2018 I'm giving away If You're Groovy and You Know It, Hug a Friend. You will find all the details at this link - and you still have time to enter the drawing. Someone will win - could be you!